Inspired by founder Nathan Flanagan’s journey of self-realization that spurred his transformation from a financially ambitious real estate broker into a selfless agent of positive change on a global level, the brand identity for Kitchener-based brokerage Flux Realty brings the ideology that drives its founders to the forefront of the brand narrative. By positioning the global environmental issue of ocean depletion as the primary motivating factor behind the company’s identity through shape and colour, Flux Realty introduces a bespoke, tailor-made aesthetic inspired by Millennial culture and lifestyle that is both unique and memorable on its own accord. 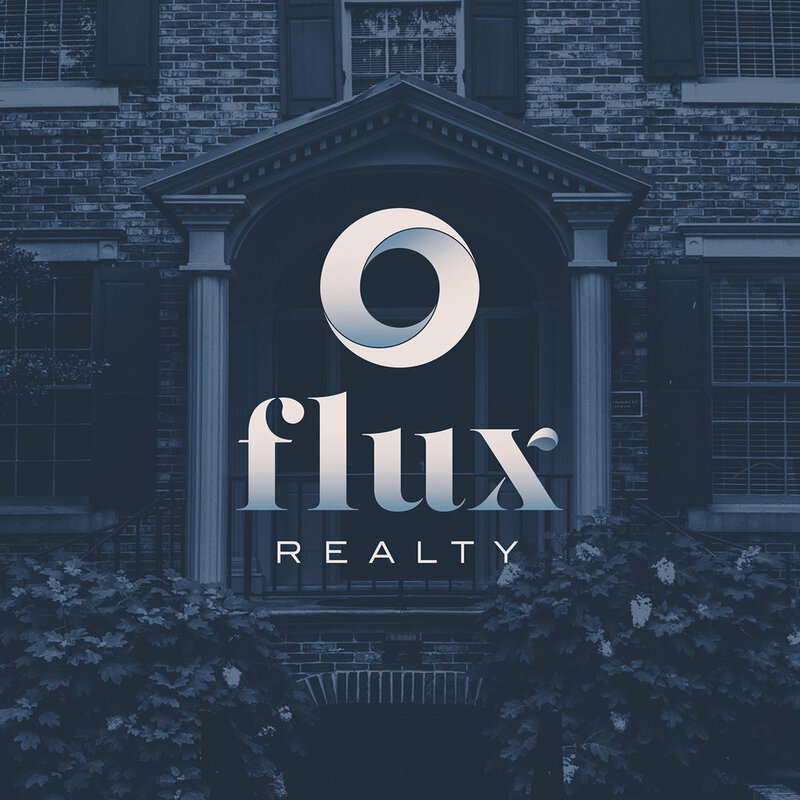 In addition to the overall brand identity, Flux Realty also needed a way to communicate its on-boarding process to new customers. 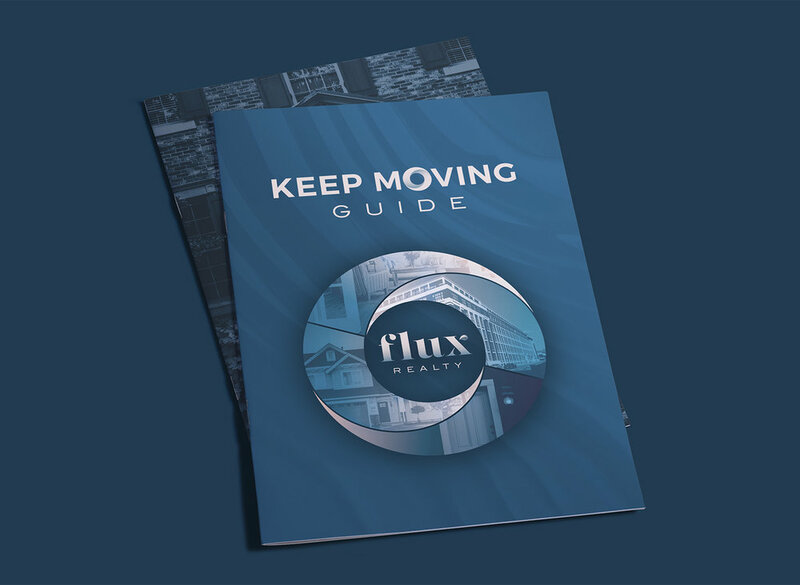 Purchasing a home for the first time can be an intimidating venture for many young people, so the goal of the Keep Moving Guide was to present a broad range of information in a digestible way, while simultaneously demonstrating the effectiveness and reliability of the Flux Realty team. 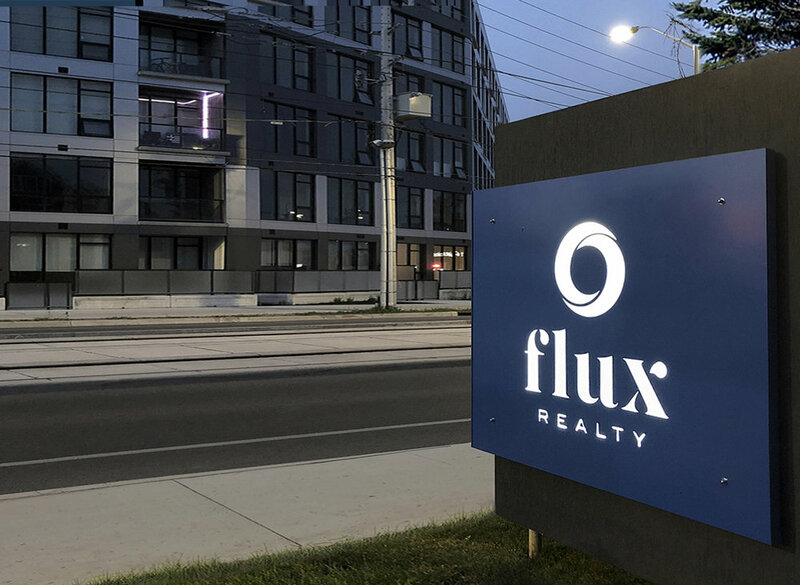 The Flux offices are located directly on King Street on the cusp of Downtown Kitchener, and the company branding is enforced through a large light-up sign in front of the building. 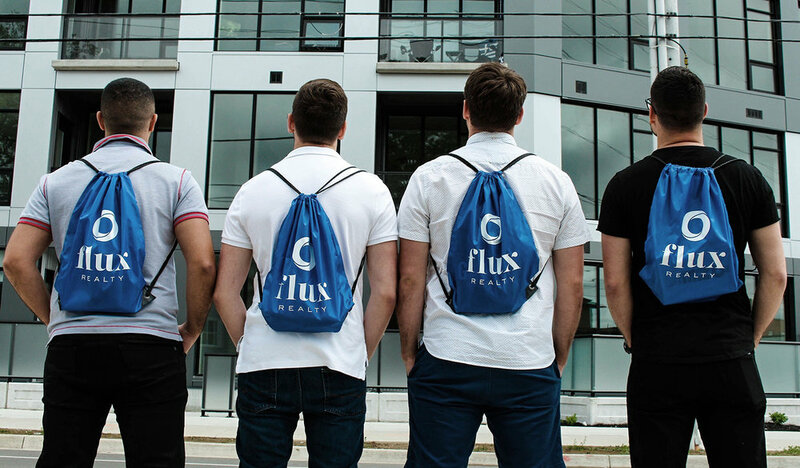 The team at Flux wanted to ensure that the primary logo was recognizable at a distance, and the decision to bring the branding into a large physical form proved to be successful in solidifying the company's presence in the Kitchener-Waterloo community.